At the foot of the magnificent church dedicated to Archangel St. Michel, the village of Landry occupies the mouth of the Peisey Valley. At 800 m altitude at the crossroads of several major tourist sites (Peisey-Vallandry, Montchavin, the sun slope) and a short distance from the two main towns of Haute-Tarentaise (Aime and Bourg-Saint-Maurice), Landry is a privileged place of residence and a stage of charm for the travelers in the long course. 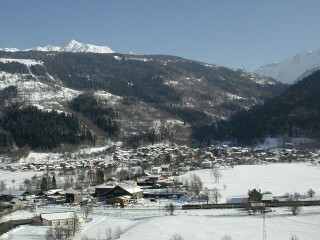 The village of Landry built on one of its pastures the station Vallandry in the 80s. 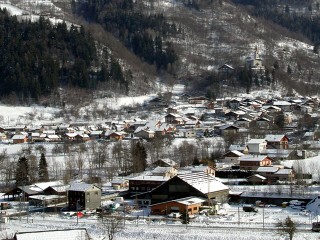 Traditional village, it is at the crossroads of the major ski areas of Paradiski. The access by train is direct: Gare SNCF of Landry, line of Bourg Saint Maurice. Landry has cottages, lodgings or camping caravaneigeige.